What did Baker do to ensure that House Democrats would support the tax reform bill? How did Baker obtain the support of House Republicans? 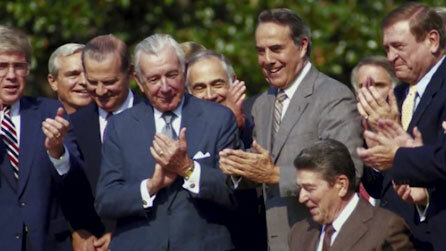 In 1985, tax reform was the top priority for the Reagan administration. But reforming the tax code wouldn’t be easy. Baker, the new secretary of the treasury, would need to create a bill that both Republicans and Democrats on the Hill could stand behind. Baker started by reaching out to Democratic Representative Dan Rostenkowski. As the powerful chair of the House Ways and Means Committee, Rostenkowski knew the tax code inside and out. It took months of negotiation, but finally he and Baker were able to settle on a plan that might satisfy both parties. The plan offered Republicans lower tax rates, while promising Democrats a fairer tax system. Congressional Democrats agreed to get behind the plan, but House Republicans complained that Baker had given away too many concessions. Conservative Republicans organized to fight Baker’s tax reform program. But Baker had the president’s ear. With Reagan’s help, the tax reform bill passed. It had taken more than a year of negotiations, but Baker and Rostenkowski had managed to craft a bill on which both parties could agree. Baker’s reputation as a coalition builder was solidified. 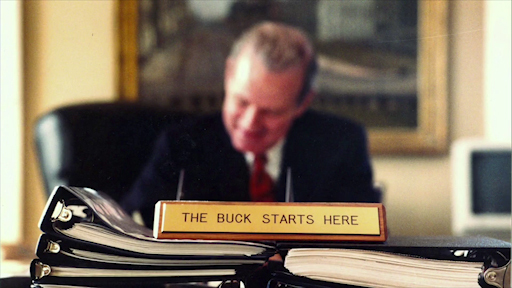 James Baker was extremely adept at negotiations, brokering many high-profile deals. Learn how he helped President Reagan bring about tax reform.